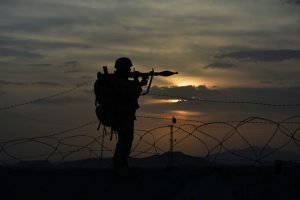 In “How to Bring Peace to Afghanistan” (Op-Ed, June 16), Stephen J. Hadley and Moeed Yusuf are right that Pakistan’s behavior must change if Afghanistan is to attain stability. But they are naïve in thinking that what they propose will produce such change. Current and former United States military commanders have repeatedly called on Pakistan to close down the safe sanctuaries, the ideological indoctrination infrastructure and the operational bases that the Taliban conveniently use in Pakistan to launch daily terrorist attacks, indiscriminately killing and maiming civilians across Afghanistan. Those American appeals have been ignored, as violence by the Taliban has only escalated in Afghanistan over the last two years. That is why in the recent meeting of the Kabul Process for security cooperation, President Ashraf Ghani offered an Afghan-led solution to the problem. He discussed the threats to regional stability and global peace posed by the Taliban, while outlining his vision of a just peace. The United States and other stakeholders in the region have an opportunity to respond to President Ghani’s call for collective action for peace, which entails the use of “sticks” against state sponsorship of terrorism. 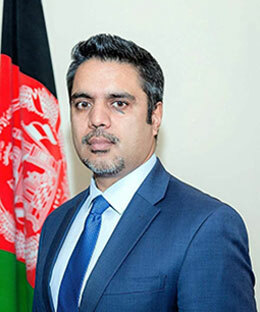 The writer is director general of policy and strategy, Afghan Ministry of Foreign Affairs.